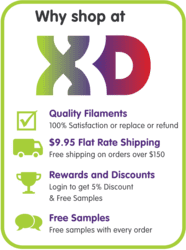 X3D Pro Polycarbonate filament is a strong thermoplastic material which is much stronger than PLA or ABS.It is a really strong material while still maintaining temperature resistance. Polycarbonate does not shatter like plexiglass. It tends to bend and deform similar to hard rubber until it eventually breaks. It also has high optical clarity. 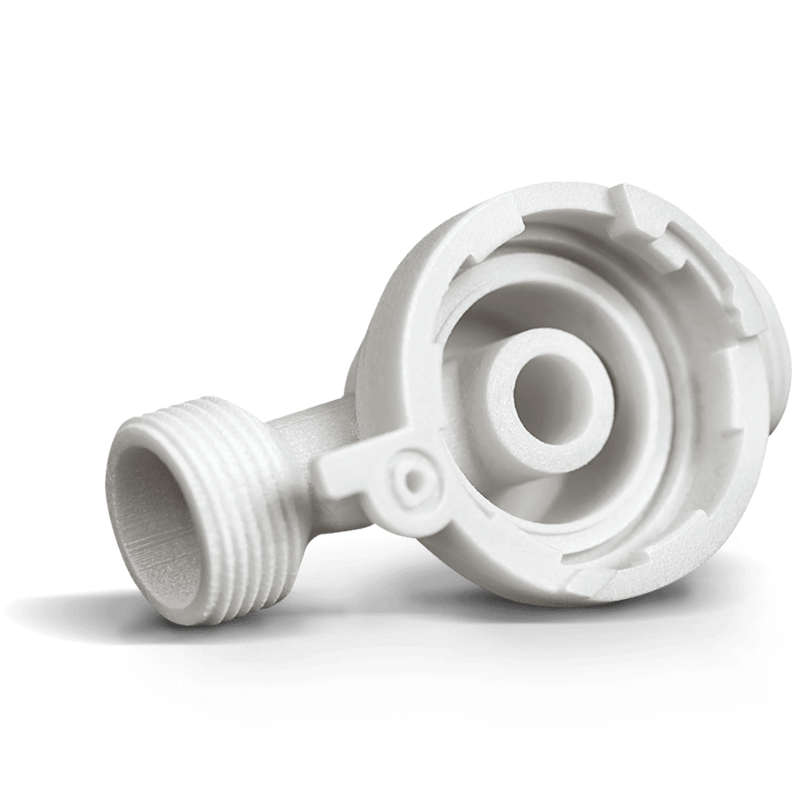 Extruded Polycarbonate filament cools down quickly which can lead to warping. 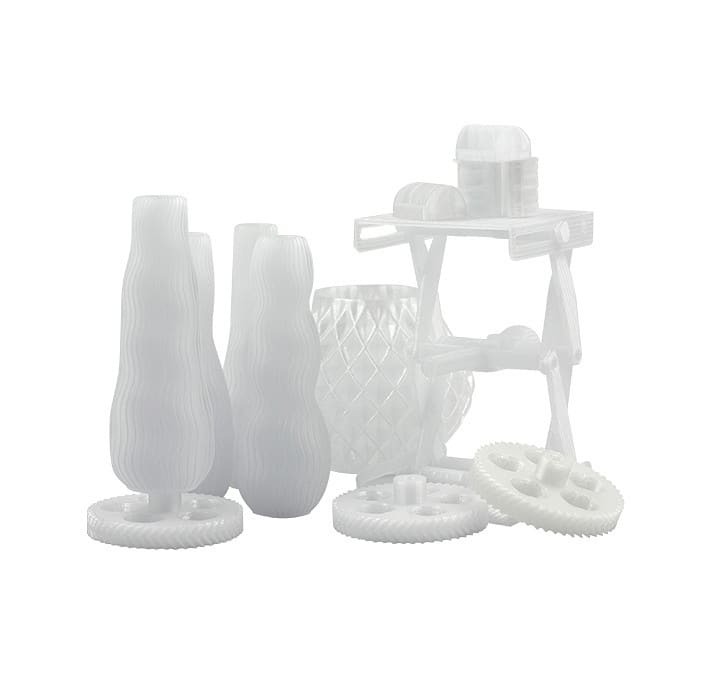 However X3D Pro Polycarbonate prints at 230 – 270 degrees so warping is reduced. 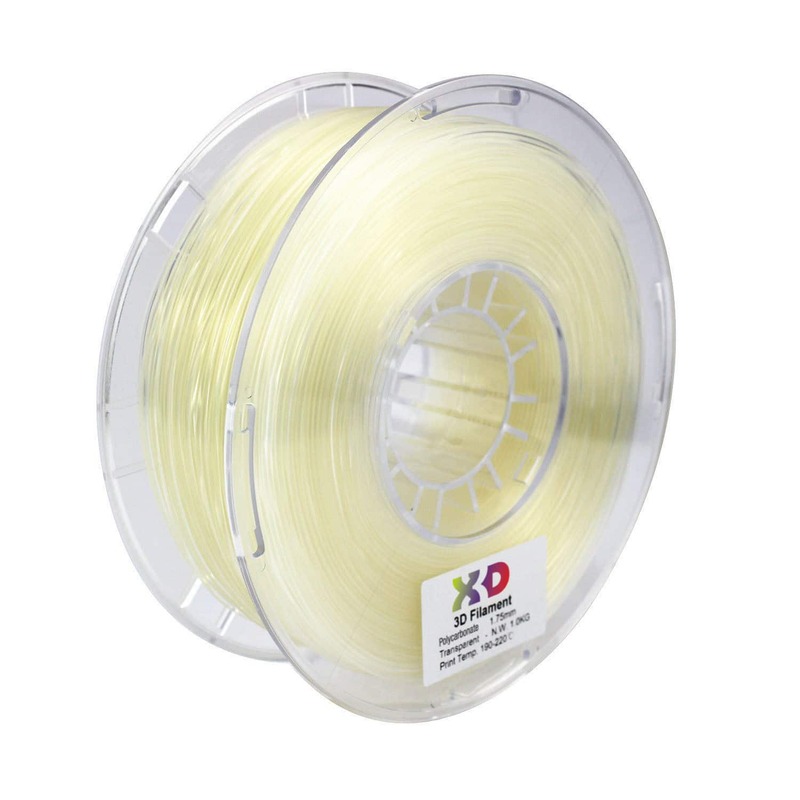 Extruding temperature for Polycarbonate filament is generally around 230-270°C. Polycarbonate filament slowly softens when heated. Slower print speeds are preferred as an increase in temperature is required for faster prints. Buildtak should be used on a heated bed, at around 120°C. Polycarbonate absorbs a lot of moisture in the air. It is a hygroscopic material, and it is best to store in an airtight container when not in use. Even during use the material can become unprintable within a 24 hour print if in a humid environment. Therefore, keeping in an airtight container during printing as well is ideal. 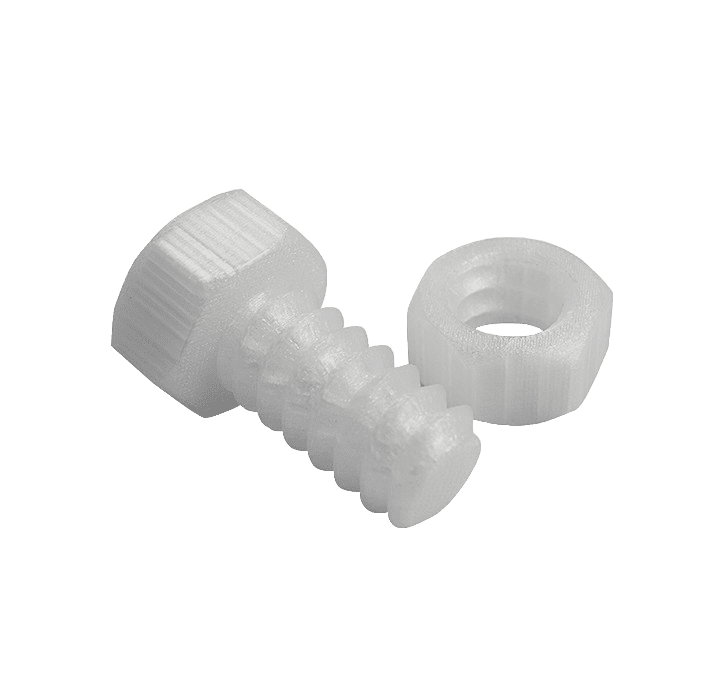 Dry Polycarbonate filament will print more clearly. 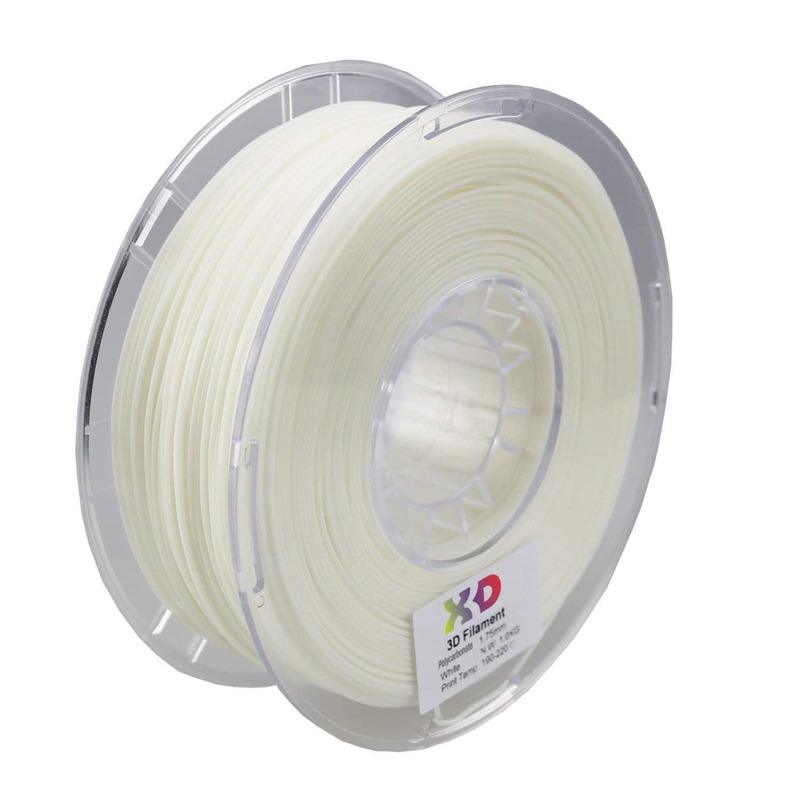 Filament that has absorbed moisture will print white as well as pop and bubble during the print.